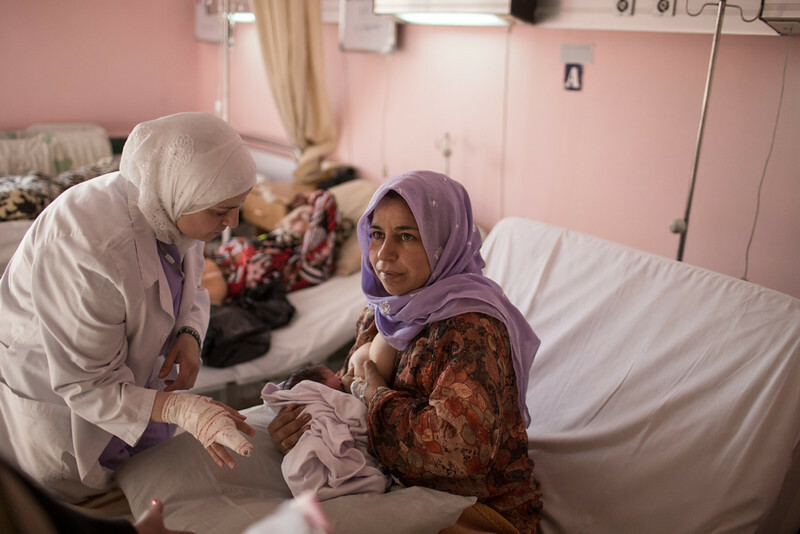 A Syrian refugee breastfeeds her newly-born baby at an IMC-supported hospital, in the Bekaa valley, Lebanon, on October 29, 2013. 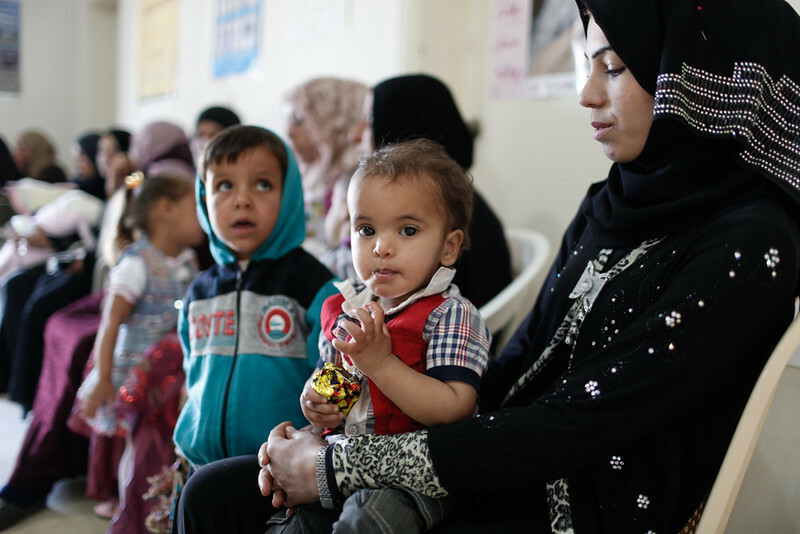 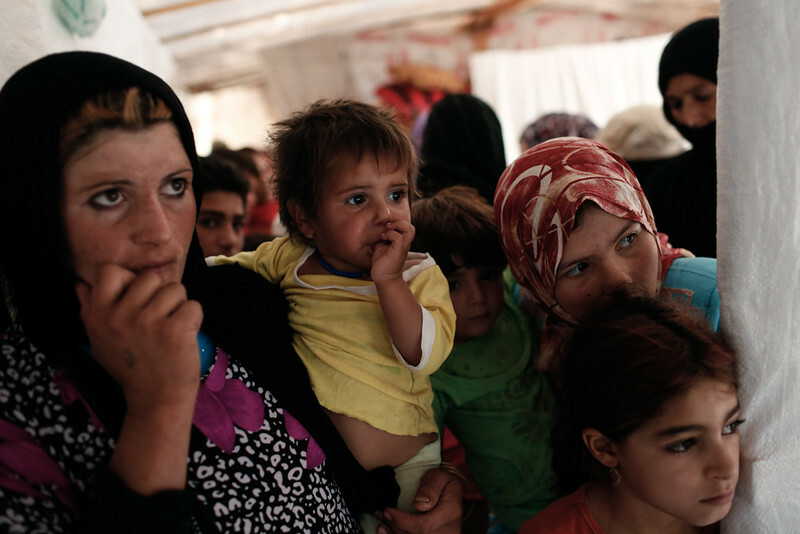 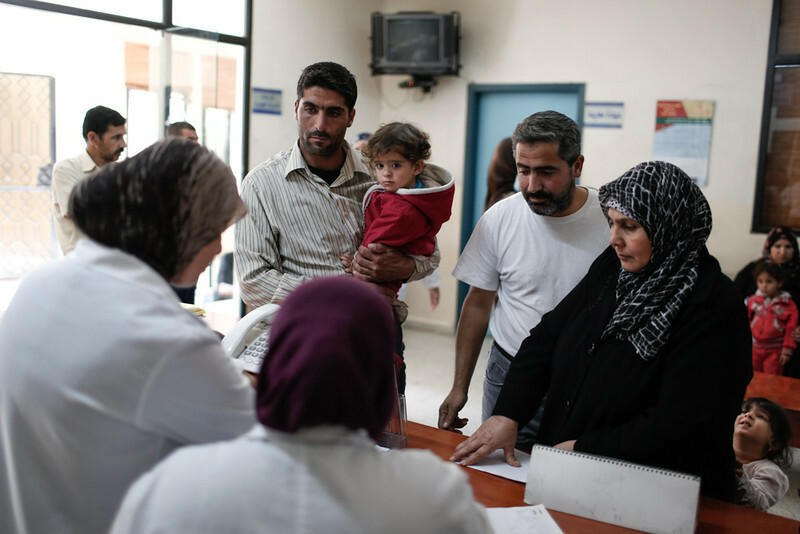 Syrian refugees visit an IMC-supported Primary Health Care Clinic, in Turbul, in the Bekaa Valley, Lebanon, on October 29, 2013. 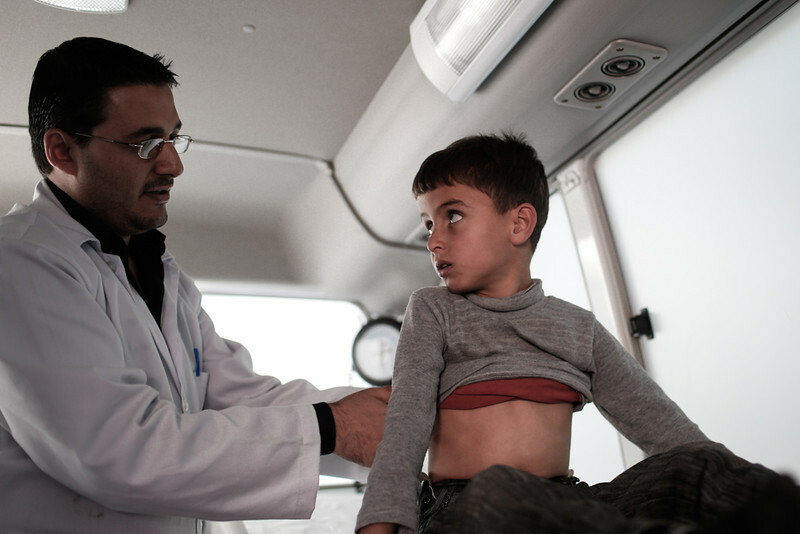 A young Syrian refugee is given check-up at an IMC Mobile Medical Unit in Houch al Harimi, in the Bekaa Valley, Lebanon, on October 29, 2013. 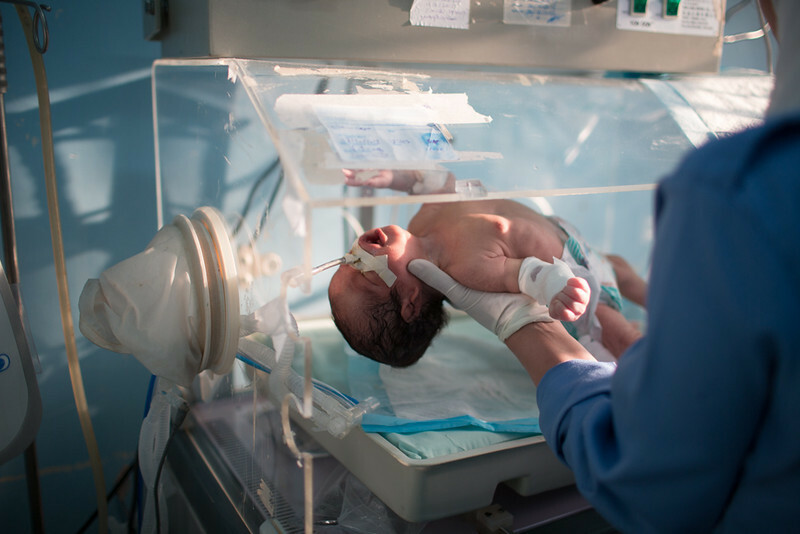 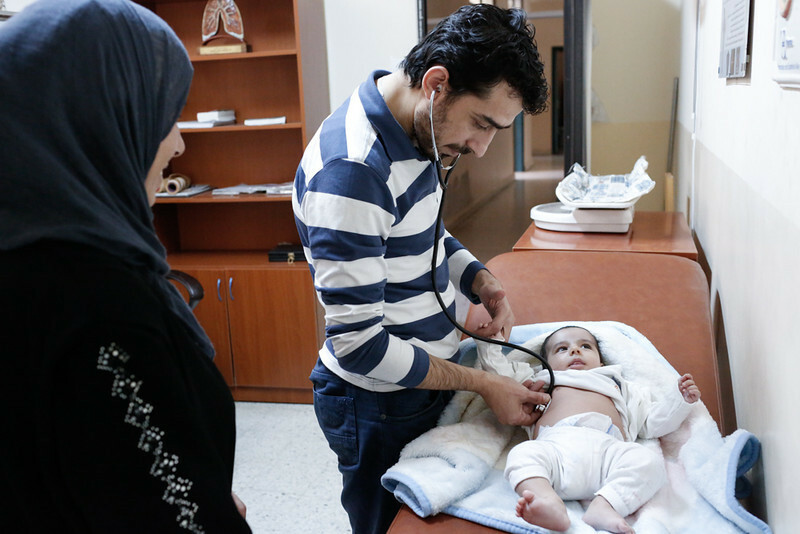 A Syrian refugee baby is treated at the IMC-supported Neonatal Intensive Care Unit at a hospital, in the Bekaa valley, Lebanon, on October 29, 2013. 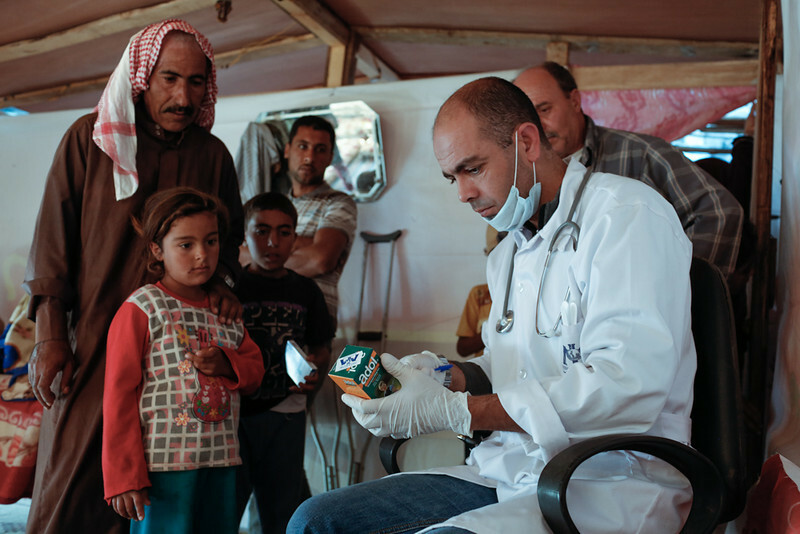 Syrian refugees wait to see IMC doctors during a visit to an informal settlement in Halba, in north Lebanon, where IMC is giving health education sessions and providing mobile medical support, on October 30, 2013. 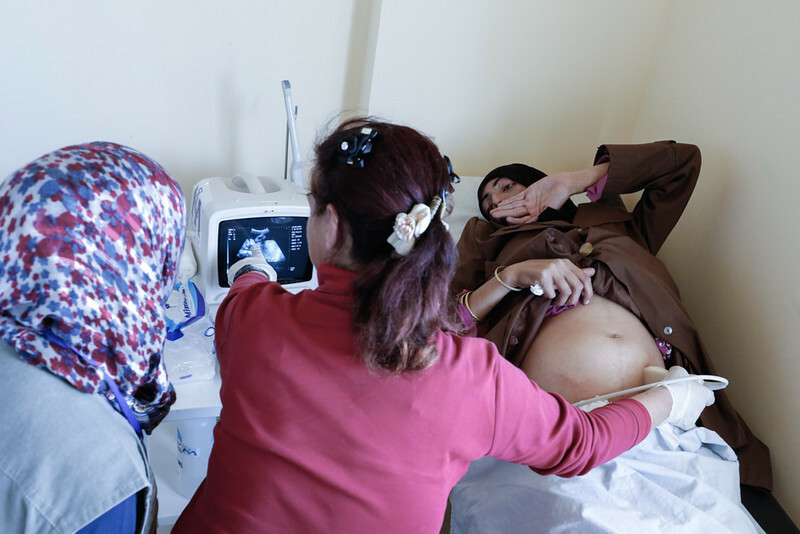 A pregnant Syrian refugee undergoes a scan at an IMC clinic in in Halba, in north Lebanon, on October 30, 2013. 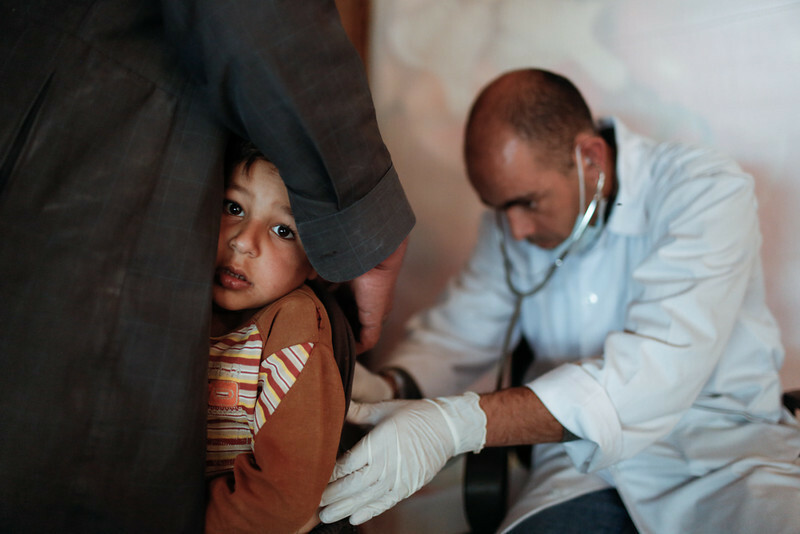 Syrian refugees access health care at the IMC-supported Islamic Health Clinic in Bebnine, north Lebanon, on October 30, 2013. 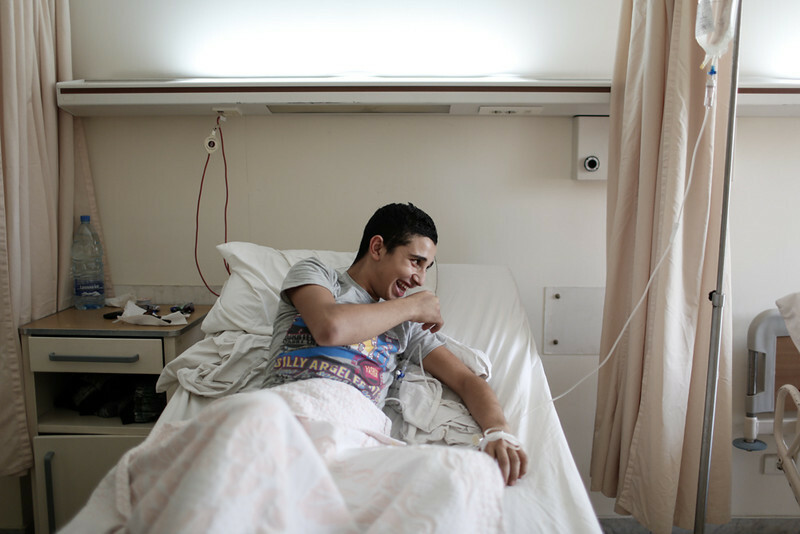 Noureddine, 15, a Syrian refugee from Aleppo, who is suffering from Hepatitis A after drinking dirty water, receives health care via IMC at Tripoli Government Hospital, in Lebanon, on October 30, 2013. 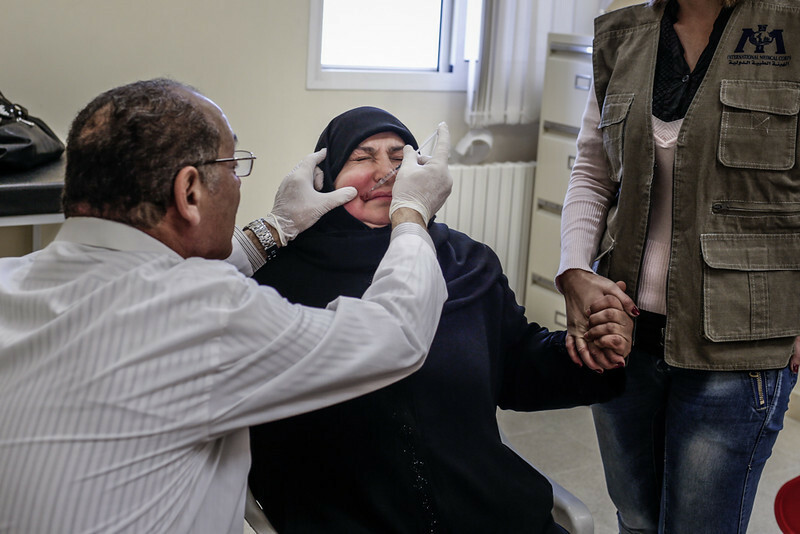 A Syrian refugee who suffers from Leishmaniasis – a disease caused by parasites found in Sand Flies, that is common in some parts of Syria – awaits treatment as part of an IMC-supported program at Zahle Governmental Hospital in the Bekaa valley, Lebanon, on October 29, 2013.